Interesting photo of GD Georgiy --he is bearded - and his mother Empress MF during one of her visits to Abbas-Tuman. Did anyone from the IF attend the funeral? grandduchessella, I'm always just floored by your collection of photos and postcards of this era and its players. Thanks, Bach. These came from L'Illustration (the French version of the Illustrated London News) which had 2 consecutive issues detailing his passing. It was mostly illustrative, and in French, so I'm not sure what all was written about the funeral. After I scanned the images, I put the pages away. He did have a state funeral in St Petersburg though so I imagine most members of the family were there. 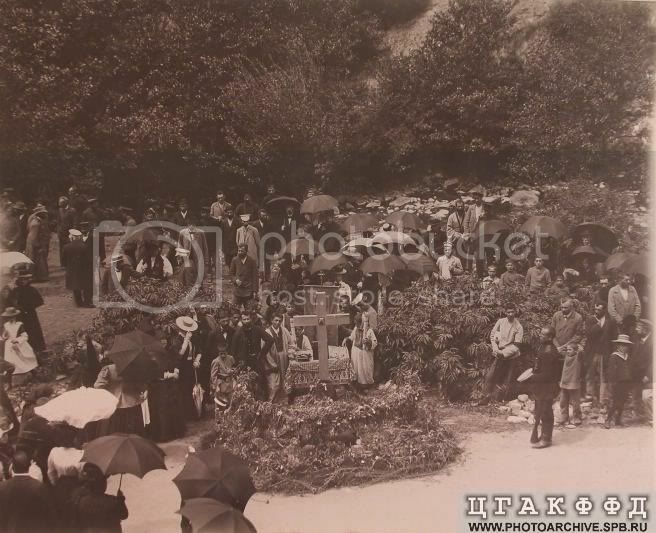 The photo gets shrunk, but you can see Nicholas in the funeral sketch. I heard a story once that his mother absolutely broke down at his burial, after losing her baby Alexander her husband, and then George. 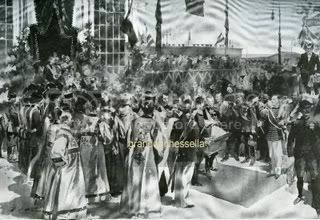 Yes, the entire Imperial Family was there, as George was the Tsesarevich. This would indeed have meant a state funeral, which would have also included attendance by the diplomatic corps. May I interest you in a grain of salt? I read that about Marie Feodorovna somewhere as well, though I can't remember the source. 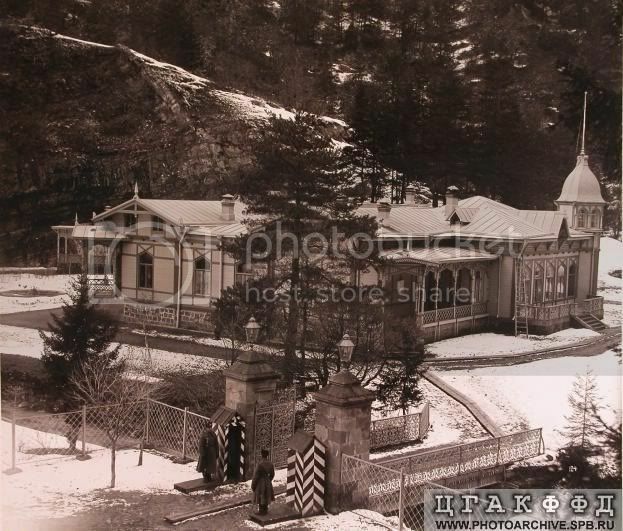 Perhaps Romanov Autumn? I'll try looking it up. THE LOST CROWN: A Novel of Romanov Russia -- now in paperback! Being TampaBay is a Full Time Job. Was there any particular reason why George Alexdrovitch did not marry? "Fashion is so rarely great art that if we cannot appreciate great trash, we should stop going to the mall. 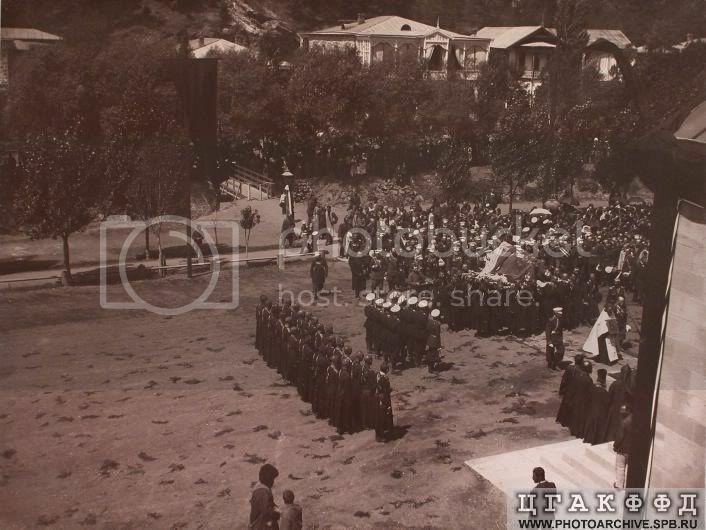 Ok, there is some footage of GD Georgii's funeral procession at the very end of Nicholas and Alexandra. It's in the last 3 minutes or so, when they talk about DNA testing of Nicholas's remains. They also quote from Nicholas's diary for that day. "Nicholas received word of his brother's death by telegram and broke the sad news to his mother.
" 'Mother, Georgie is gone,' he said quietly, and the Empress burst into tears. He was twenty-seven, and his death, as the Grand -Duchess [Olga A.] said, was in irreparable loss." I will keep looking for the source of the story Lisa mentioned. 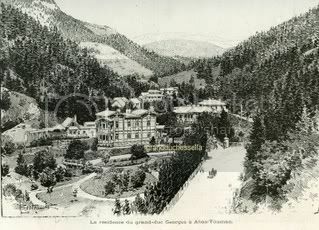 I think it was due to his illness which already appeared when he was only about twenty and then he had to move to the Caucasus where it was not likely to meet many princesses. BTW, why was the Caucasus chosen for Georgi? 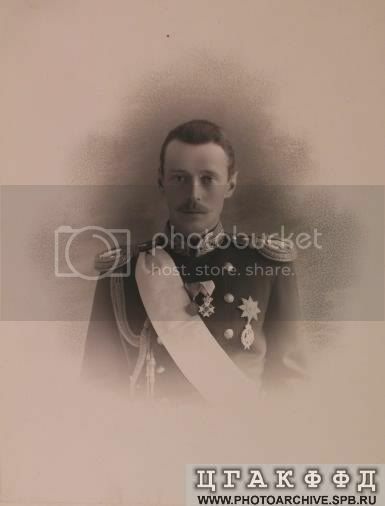 Archduke Franz Ferdinand did have tuberculosis to and was moved to Egypt and eventually recovered from his illness. 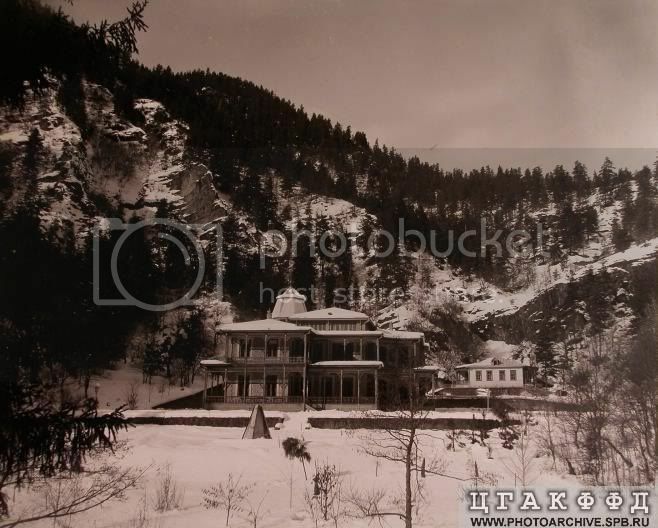 Maybe this would have been the better place for Georgi too especially as his condition still didn´t improve after several years in the Caucasus? 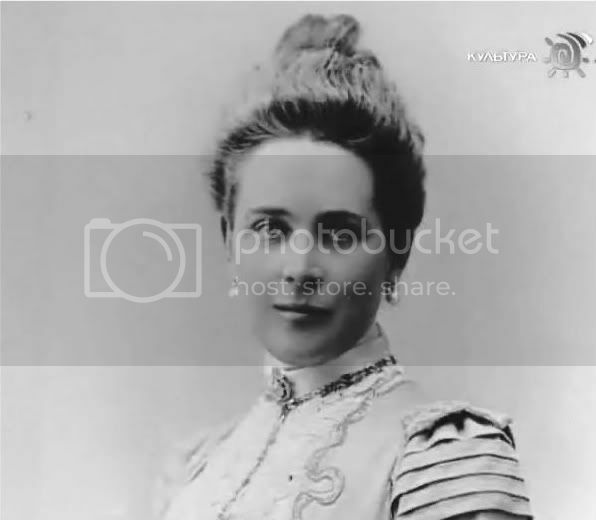 GD Olga Aleksandrovna mentioned in The Last Grand Duchess that the doctors were hesitant to diagnose Georgii with tuberculosis for some reason. They always knew he had a "weak chest" but seemed reluctant to admit it was TB. I think the phrase she used was that the doctors "made a mess of it." She believed he need not have died. The Caucasus was eventually chosen for the climate, though it seems not to have been the best choice in the end. I think he did do better in the Caucasus, but was never fully well. George seems to be one of those great tragic 'what ifs' with the Romanovs. He seems to have been such a good person and an intelligent, sensitive and dutiful one as well. If he had been healthy, perhaps the relentless pressure to produce a son might not have happened. There was still Michael but I don't think he was ever regarded as highly as George was in terms of being a future Tsar. Knowing that a healthy George was there to marry and, hopefully, produce sons, might have relieved a lot of the tension that surrounded the family. Instead, from the very beginning his ill-health was an issue and he died before even Anastasia was born. In addition, being so close to Nicholas, he could've provided him an outlet and sanctuary within the family--someone he could've trusted and relied upon. It seems a real waste. In addition, being so close to Nicholas, he could've provided him an outlet and sanctuary within the family--someone he could've trusted and relied upon. Indeed, they were very close. I recall reading that Nicholas wrote down many of Georgii's stories and jokes, and that even as a grown man Nicky was sometimes found in his study, chuckling over something Georgii had said when they were boys. I've never read much info about Georgi in books, but from what I have read he might have made a good Tsar. I am not sure whether he would have had quite the personality of Nicholas, I think he would have been stronger. Michael was always seen as a bit less than serious. 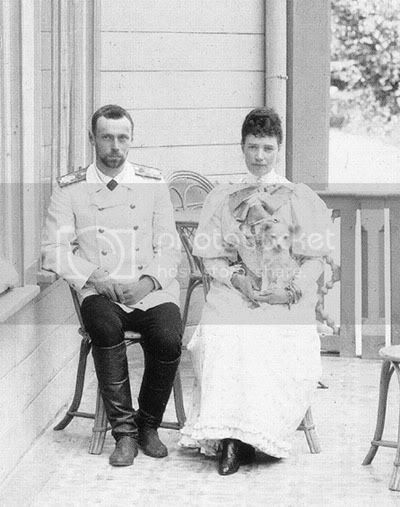 This image was not helped when he married morgantically and could therefore have no legitimate heirs to carry on that branch of the Romanov line. Had Georgi been alive in 1917, he might have been someone there was more support for to become czar, than Michael, who was not going to get that much support because of circumstances, but also because of how he was regarded. 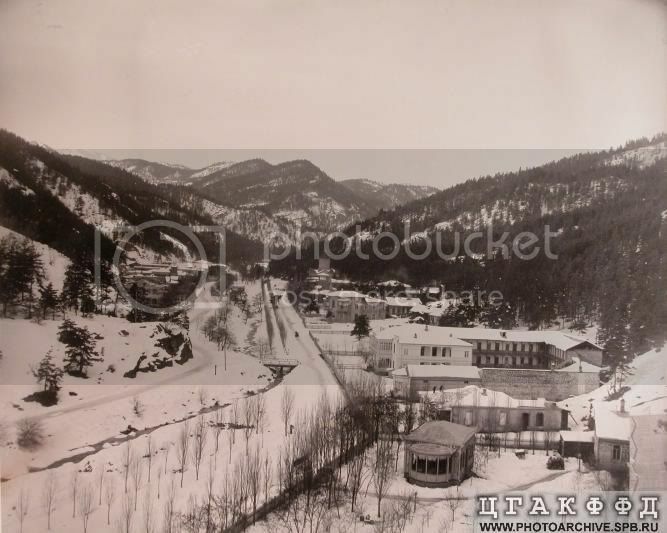 I found these images under "Grand Prince Georgy Alexandrovich" album in the Russian State archive online. I found them very moving.